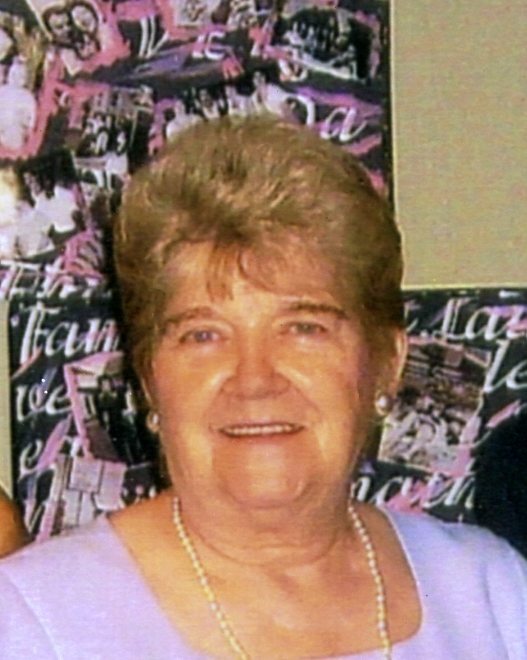 Audrey S. (Smith) Corso, 83, of Natrona Heights, went to be with her Lord on Thursday, January 17, 2019, surrounded by her family at the Good Samaritan Hospice at Concordia, Cabot. She was born October 6, 1935 to the late Elmer Ellswsorth and Effie Doutt Smith. Mrs. Corso was a life long resident of the Allegheny Valley and sold Mary Kay cosmetics for more than 30 years. At one time she also worked at Gulf Research in Harmar, and for the W.L. Roenigk Company in Harrison. She graduated in 1955 from Har-Brack High School. A volunteer at Allegheny Valley Hospital for more than 35 years, she also has been a member of many prayer groups including Ezekial of Mount St. Peter. She was a member of the Generations House of Worship in Brackenridge. She's enjoyed her home of over 55 years, where she upholstered, painted and wall papered. Her other hobbies included reading, word search puzzles and ceramics. She always said her greatest JOY was raising her three daughters, having the opportunity to be a full time, stay at home mom, girl scout leader, Junior Women's Club member and "Mothers of Twins Club" member. She sewed many of her daughter's dresses and dance costumes and it was not uncommon in our house to hear her call out "Where are my good scissors?" She loved collecting antiques and depression glass, and enjoyed scouting around for local garage sales, flea markets and estate sales. Was an avid "good will" regular, maintaining bragging rights for finding the best bargains ever. She was both resourceful and creative. Audrey possessed a strong faith and was a prayer warrior. When asked where her happy place was, her answer was always a resounding "why church of course !" She loved to 'sign' while singing her favorite hymns. Audrey leaves behind her daughters, Chris Ann (Dennis) Buday, of Freeport, Karen (Don) Sacco, of Natrona Heights and Sharon Yeasted, of New Kensington; twin granddaughters, Angela Lynn and Christina Marie Ziacik, both of Arnold; sisters, Alice Faye Gordon and Martha (Robert) Lutz; sisters-in-law/brothers-in-law, Mary Corso, Toni (Larry) Hamm, Vinnie Corso and Angelo (Elda) Corso; and she will also be sadly missed by her toy poodle Kimba. In addition to her parents, she was preceded in death by her husband, Frank P. Corso on April 9, 2014; and by her brothers, Elmer (Buddy) Jr. and Monte. Friends will be received on Sunday from 2-6 PM in the Cicholski-Zidek Funeral Home, Inc., 1522 Carlisle St., Natrona Heights 724-224-8688, where funeral ceremonies will be held on Monday at 11 am. Officiating will be the Rev. Roger Nuerge. Burial will be in Mt. Airy Cemetery, Natrona Heights. In lieu of flowers, contributions in memory of Audrey may be made to the Good Samaritan Hospice at Concordia, 134 Marwood Rd., Cabot, Pa. 16023. To send an online condolence please visit www.cicholski-zidekfh.com.